Up until a few years ago you only had a few ways to open PDFs. Now PDF apps have exploded and every device can open PDFs. But one of the tried and true ways to store and read your PDF docs has been the Amazon Kindle app and eReader. Kindle has moved beyond being an eBook platform to also becoming a PDF storage location so you can access your PDFs on the go. And Send To Kindle is the ultimate tool for sending PDFs from any device to any device. 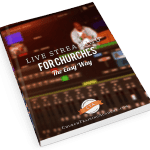 Imagine having all your documents for ministry all in one place, easily accessible, and organized. Take any PDF that someone sends you and copy it to any of your own devices with the Kindle app. Convert PDFs to the native Kindle format (your mileage may vary). Send To Kindle is a great way to organize all your documents for ministry on the go. Instead of having to remember what inbox, website, or cloud storage your PDFs are on, you can instantly and easily send a PDF to your Kindle device or app. Try it for yourself and let us know in the comments how you plan to use it! Speaking of storing PDFs, have you checked out one of our own free PDF resources? 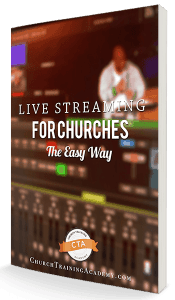 I recommend our guide, Live Streaming For Churches The Easy Way. In this guide, you’ll discover 4 different ways you can start live streaming your church…and two of the ways you can do today! So don’t blow this off. Use this as a case study for Send To Kindle. Download it, send it to your Kindle app, and give it a shot!